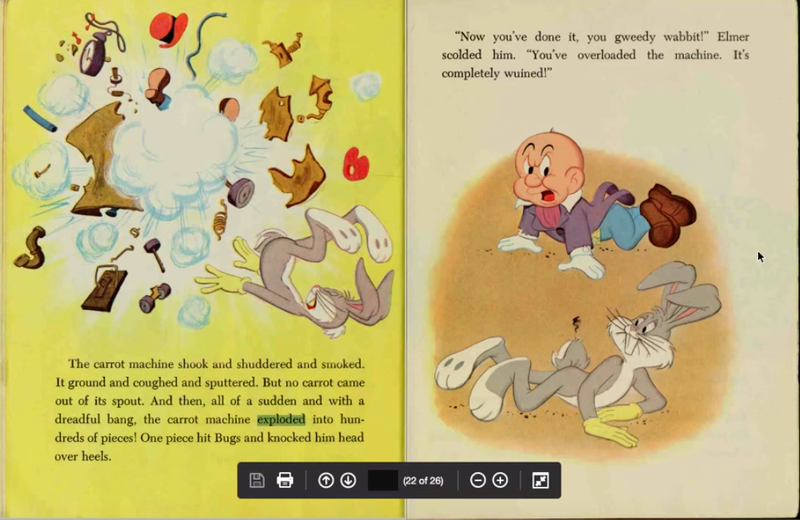 I was suddenly struck with a memory of a Bugs Bunny book I read as a child (I probably read it in the 1980 to 1990 time frame, but I'm pretty sure it was a book that had been in the house for longer than that). 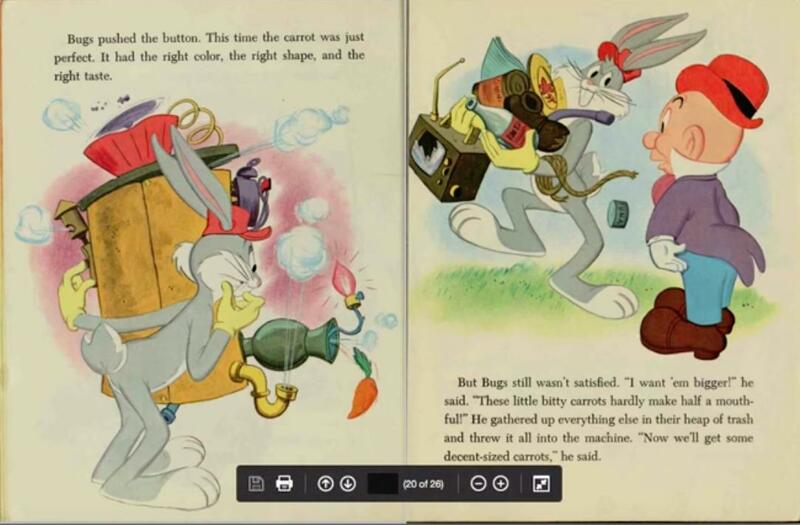 Bugs had a machine that had a crank on the side, and turning the crank generated carrots. I think he had to feed something else in the hopper at the top, although I don't recall what, and what he fed into it influenced the carrots (what sticks in my head is the carrots being blue, or cubical, which later made me think it might have been a "square root" joke for the adults). I don't recall where he got the machine. I think it wound up breaking down due to him either using it too much or trying to jam too much stuff in the hopper. Here is a picture of the machine and Bugs putting junk in to get it to work. And the machine does eventually break down explode due to Bugs being too greedy and shoving too much junk into it as shown above. Not the answer you're looking for? Browse other questions tagged story-identification books childrens-novel looney-tunes or ask your own question. Children's book with “square triangles” in parallel universe?